The technology your company uses to run operations matters if you’re using an off-the-shelf software. Here are reasons to invest in custom software solutions. As companies like Equifax can attest to, inadequate software solutions can cost your company billions of dollars. Without software -that’s custom-built to your needs, your user base, and the level of security you need, your company could suffer in numerous ways. 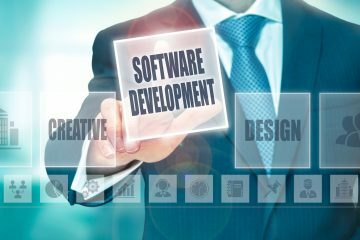 To save lost revenue and to increase efficiency, you should consider custom software solutions for your company. Whether you’ve got tons of data to be translated into visuals or a straightforward e-commerce site, your custom software could improve user experience. When employees can understand your workflow in an intuitive way, they can be more efficient. Custom software solutions don’t have to cost an arm and a leg either. Custom solutions can streamline your software to get rid of unnecessary features you pay for with off-the-shelf software. In detail, here are 5 important ways that custom software can help your business. The readymade software you purchase for your business may not have been created by the brand listed on the package. It could be licensed from a no-name third-party group who cut corners whenever they could. They could be using outdated technology and approaches with whatever dependencies were easiest to integrate. Updates to these libraries might be unsupported or difficult to complete if they’re even possible. On the other hand, your custom built software can include all of the features you need and involve as many updates as you need. While that ready-to-use software might be the perfect fit for your business size today, what will it cost to license it if your company doubles or triples? It’s not naive to project growth into the future and know that your software solutions will need to grow with it. 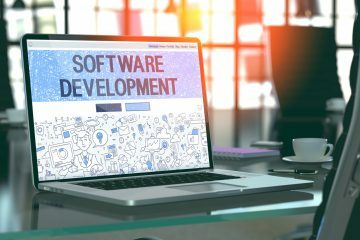 Your custom built software’s developers can build in features that will allow you to use it with as many connections as you need. Once you purchase it, you can use it on as many machines as you need to with as many users as it can handle. Commercially available software is heaven for a hacker. The exploits found in one iteration of the software could allow a malicious actor to get into any machine with that software installed. If you’re using this readymade software in multiple businesses, you could put a huge infrastructure at risk. No quick solution is worth the cost of putting your customer data at risk. Once customers feel compromised, they might not trust you with their information again. Depending on your company’s needs, you could have a unique configuration of hardware and software throughout your business. Readymade software might entail making concessions, not using certain plugins, or might be incompatible with some pieces of your hardware. 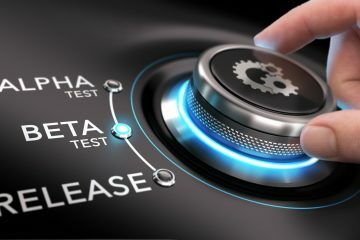 A custom-built solution will ensure that everything essential to your system works with every release of the software. You won’t need extra licenses, extra dependencies, or to worry about updating your operating systems. Your custom software will be ready to handle whatever you throw at it. If you hire a company to design custom software for your business, you’ll have the best support around. By working closely with developers, you’ll be having direct conversations about features or errors, rather than explaining them to a support line operator. With a custom software solution integrated into your business, you won’t have to fret over security threats or whether or not you’ll have bugs. Every bug that you encounter can be fixed by your custom developer a lot faster than if you find a bug in off-the-shelf software. If you’re ready to get a custom solution for your business, contact us.